Keeping Nazis, Communist and Islamists Out of FreeZoxee: Censorship or Sanity? 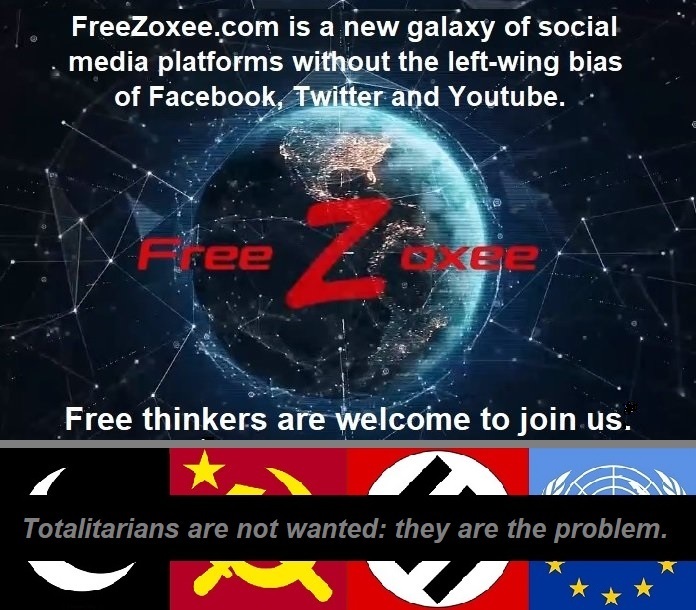 Freezoxee.com was created to provide an integrated set of social media platforms minus the left-wing bias of Facebook, Twitter, and YouTube, but also without repeating the grave error of the conservative Twitter clone Gab.ai. Gab began with the premise of providing absolute free speech posting rights to all users. This sounds wonderful in theory but, in actual practice, Gab became a happy home for hundreds, if not thousands, of neo-Nazis. Gab’s remedy for this Nazi infestation was to provide mute and block features, but it can only be guessed how many first-time visitors simply turn away, rather than wading through the Hitler-worshipping Jew haters, blocking them one after the other.